NBM’s March selections are now appearing in Diamond Previews magazine. Head down to your nearest comic book store to place your preorders! 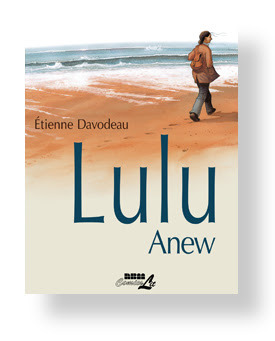 This March, LULU ANEW makes its English debut. The graphic novel has already been turned into a movie in its native country, France. This is the second translated piece NBM has done by Etienne Davodeau. The creator was recently nominated for Angoulême’s prestigious Grand Prix award. 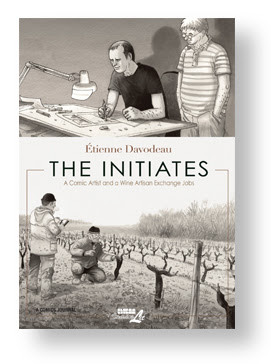 Available now is Davodeau’s THE INITIATES, a social experiment where a comic artist and a winemaker switch jobs. The book received many nominations, even winning the best wine book translation of 2013! Order now at your local comic book store if you missed it the first time around! Richard Leroy is a wine-maker. He‘s rarely even read comics. Take a look at all NBM’s March offerings in the latest issue of Diamond Previews.